The Real Deal Is Back! We had so much fun last year at ADA in Las Vegas, as well as throughout the year, with our Real Deal game that we decided to bring a little bit of Las Vegas to San Francisco. For those of you who may have missed us last year, here is how to play. Patterson Advantage members earn chips to play the Real Deal game board with merchandise purchases made at the Patterson Dental booth. Your Advantage account will earn bonus Advantage Dollars based on where your chips land. You earn extra Advantage Dollars just for playing, as the minimum payout is 100 Advantage Dollars, with a chance to earn as many as 1,500. The more you purchase, the more chips you receive. There is a maximum of 5 chips per master account. 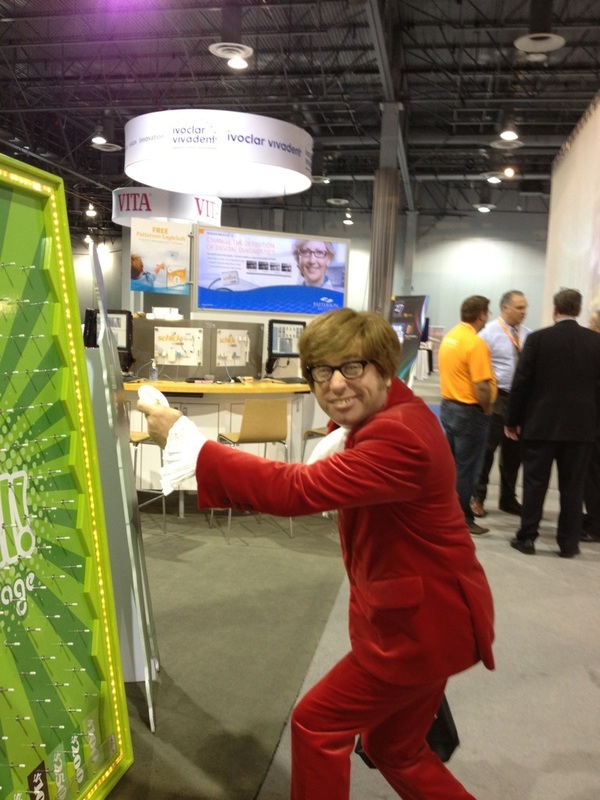 The Real Deal is so much fun, we’ve even had Austin Powers stop by to play. Don’t miss out in San Francisco.